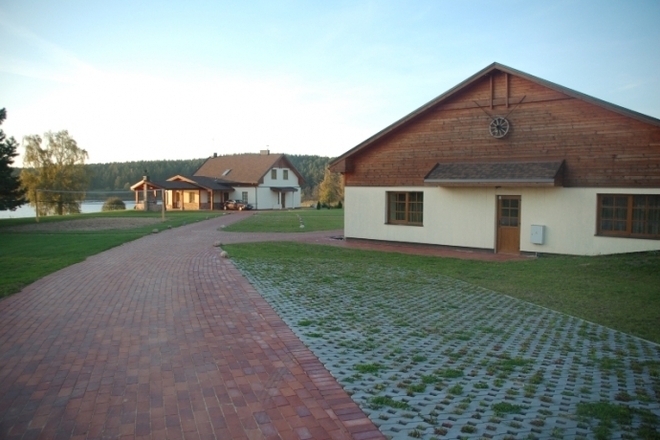 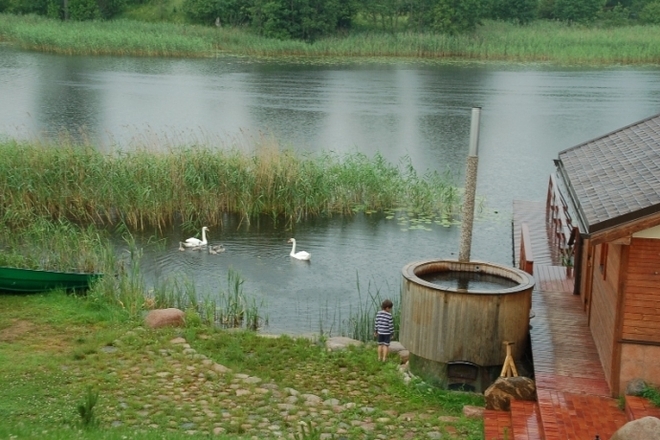 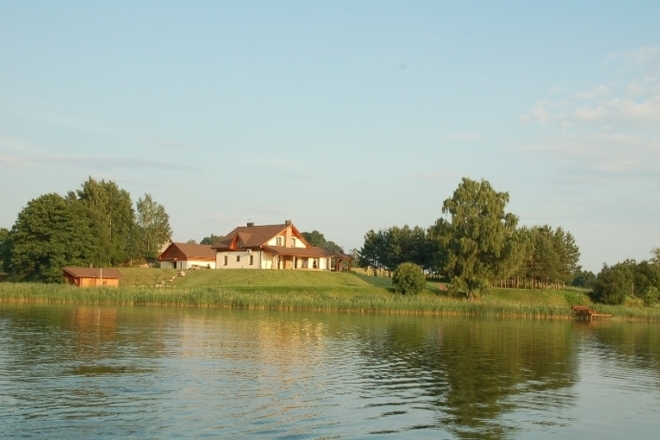 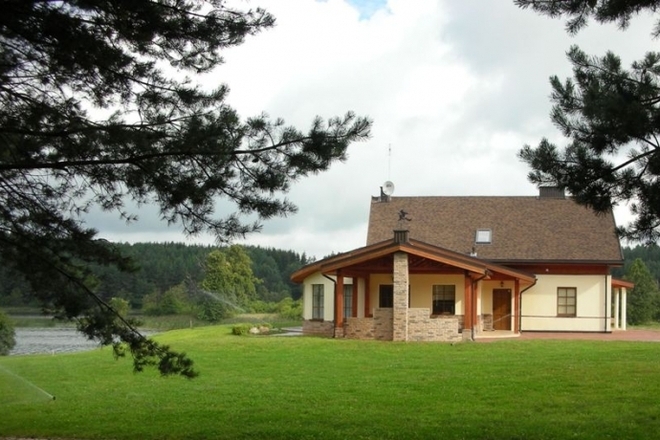 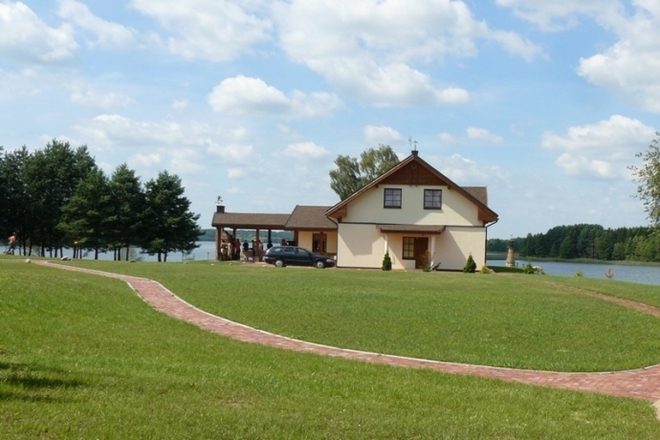 The homestead "Virinta", accommodating up to 200 holidaymakers, is located 70 km from Vilnius, in a peninsula of the lake Virintai (1 km from the road Vilnius-Utena). 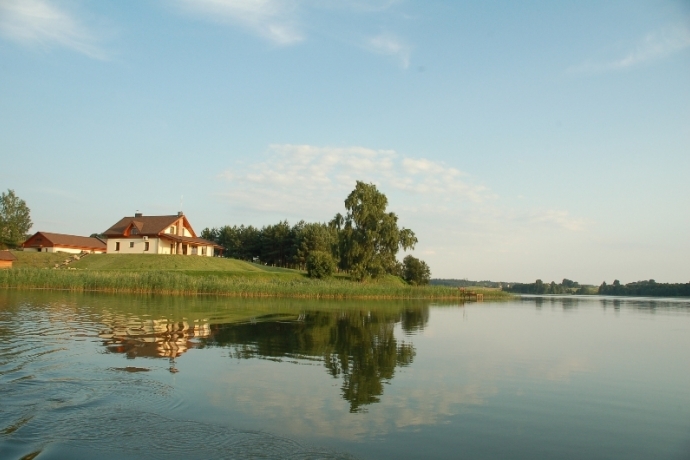 Throughout a half of km of the strand, there are equipped beaches, a bathhouse, a hot tub, a boat quay and footbridges for fishing. 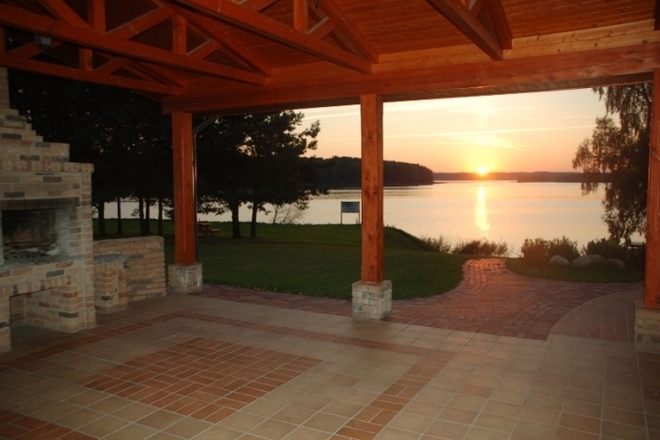 We also offer well-lighted volleyball and basketball courts and a variety of swings. 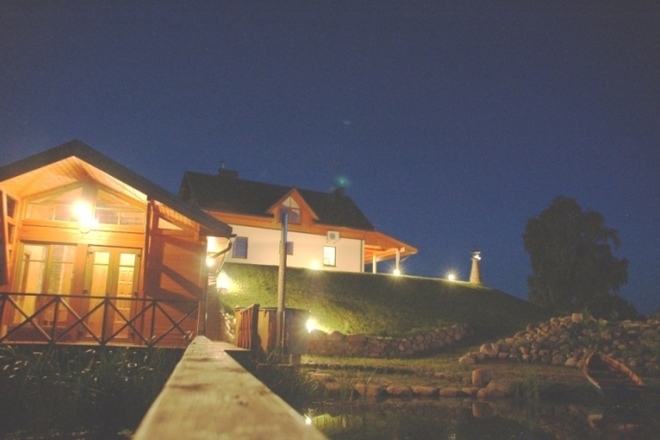 The homestead has nine cosy lounges, banquet-conference room, fully equipped kitchen, indoor and outdoor fireplaces, spacious, covered terraces overlooking the lake.